Leading Manufacturer of ss gear coupling, ms gear coupling and rolling mill gear coupling from New Delhi. 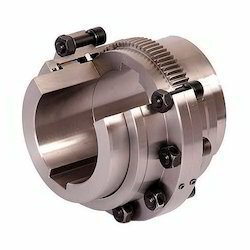 We are highly respected as established manufacturers and exporter of SS Gear Coupling. It is used for wide ranging applications and comprises of two hubs that are coupled with toothed sleeves. These are precision engineered by using high-end technologies in sophisticated facilities. We offer these in different standard sizes and can also offer these in customized specifications as per clients’ requirements. 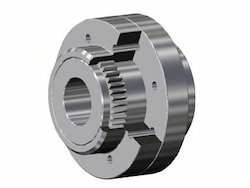 MS Gear Coupling accommodates angular & parallel misalignments or a combination of both as well as axial misalignment (end float). Ideal for all horizontal, close coupled applications including fans, overhead cranes, conveyors, steel & paper mill equipment. One or both the hubs can be easily reversed for more than normal shafts separation applications. Accommodates Angular, Parallel & Axial Alignments. With our expertise in this domain, we are able to offer a superior quality range of Rolling Mill Gear Coupling. 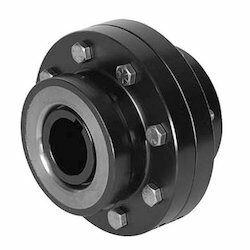 Our couplings are made at par with industry standards, utilizing quality-approved material and modern machinery. These couplings are delivered at patrons’ door step within the promised time frame.